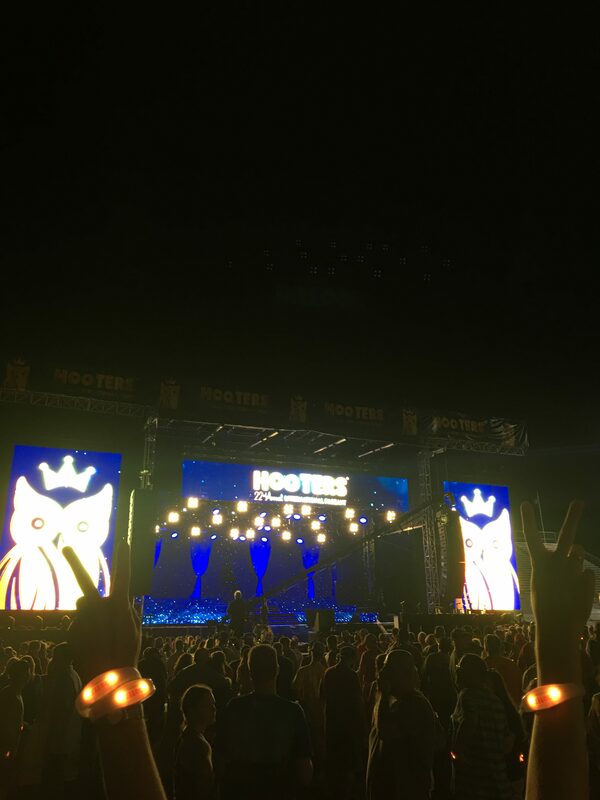 For the 2018 Hooters Pageant, the corporate events team wanted to enhance the event and engage the audience in a new way, so they used CrowdSync to supply guests with 7,000 wristbands! This year, the pageant was outdoors. 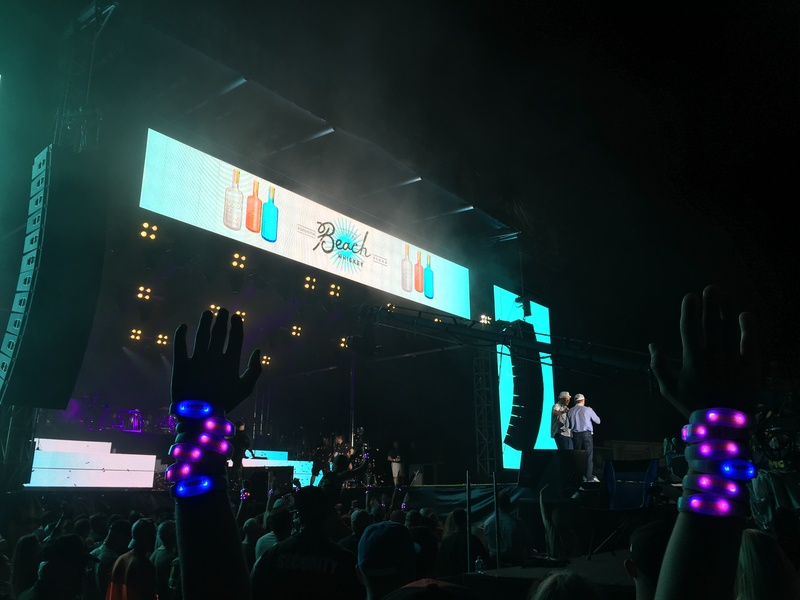 The LED wristbands really helped define the audience and amplify the overall experience for guests as they watched the pageant as well as other entertainment, such as Jake Owen performing. 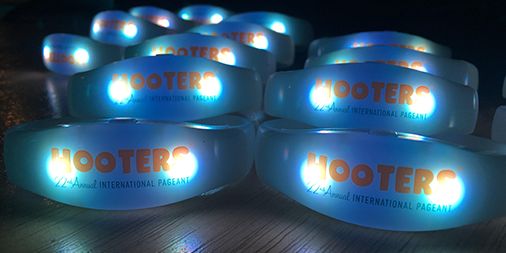 The wristbands had the “Hooters” logo imprinted on the wristbands, so guests were able to leave the pageant with a branded souvenir. The corporate team from Hooters hopes to use the wristbands again at different restaurant events!